August is a big month for breastfeeders. But not for the reason you might think. You are likely familiar with World Breastfeeding Week (WBW) observed Aug. 1–7. But have you heard of Black Breastfeeding Week? Black women all over the United States are celebrating Black Breastfeeding Week through Aug. 31. It is a time of pride for many of us, an opportunity to congratulate ourselves on overcoming the odds. 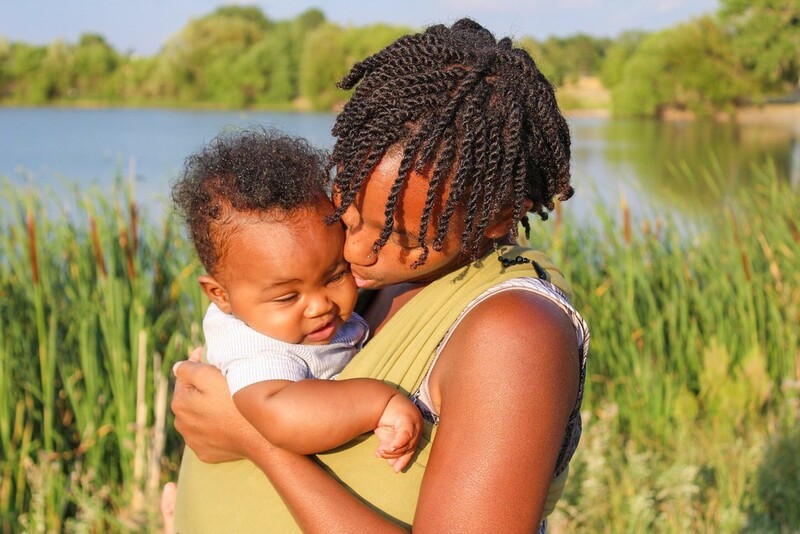 Black Breastfeeding Week, launched in 2013, highlights the relationship between two very important identities ― the intersection of Blackness and womanhood — and takes into consideration issues that WBW doesn't. History has shown us the importance of taking a holistic approach to issues, and breastfeeding is no different. Black women have a separate set of issues in addition to the "usual" breastfeeding concerns. Black women have consistently had the lowest national rates of breastfeeding: 66 percent of Black mothers report having breastfed, compared to 84 percent of White mothers, 83 percent of Hispanic mothers, and 84 percent of Asian mothers. Data is one thing, and experiences are another. I wanted to know what real Black women experienced. I spoke to a friend of mine, Chatima Hughes, 36. Hughes breastfed both her children, her first for 6 months and her second for 13 months. Hughes' experience of readily available examples was nice, but not all women are so fortunate. McCoy, of Dallas, is currently expecting, and she intends to breastfeed this go-round. "I plan to aim for 6 months and see how it goes. I'm older and more educated this time. I also plan to express [pump] milk to save for later." But why aren't more Black women breastfeeding? We don’t know. Research is clear in identifying the importance of targeting the Black women with nursing initiatives. Lack of support and incompatibility with work schedules are two leading theories for the lower breastfeeding rates among Black mothers. For many of us, researchers could get a more inclusive answer by looking at the past. Black women and breastfeeding have a very complicated history. Eugenia ‘Skeeter’ Phelan: "What does it feel like to raise a White child, when your own child’s at home being looked after by somebody else?" Black women were robbed of their chance to be mothers during slavery. The suppression of Black motherhood did not end there, sadly. Post-slavery, Black women were often still expected to sacrifice being with their children. The movie The Help provides a perfect big-screen illustration of this. Aibileen Clark and Minny Jackson are Black maids who raises White children, often at the cost of sacrificing their own families. Throughout American history, there was a lack of parental presence for many Black children. For some, dying of starvation and neglect was the result. Perhaps this is the reason so many older Black women look down upon breastfeeding: It is too reminiscent of a painful past. Contemporarily, Black women may not have this image at the forefront. But is the low rate of breastfeeding a result of matriarchs recalling the past? As we talked, Hughes, who lives in Wyoming, recalled a time she was nursing her mixed-race child at Costco. During this routine experience, she was approached about the beauty of her then 5-month-old son. "Let his mother know he is a beautiful baby," said the older lady. "I wondered who she thought I was," says Hughes. Confused, she later described the situation to her husband. He explained that Hughes had been mistaken for her child's wet nurse. Is this painful past of slavery and oppression of Black women and families a significant factor in such low rates of breastfeeding in the Black community today? We don't know. What do we know? Those entering any field related to lactation need to be aware of this past. It is very important to consider this past when discussing breastfeeding with Black women. Many mothers are still forced into leaving their children too soon post birth. In the United States, Black children have the highest infant mortality rate with 11 deaths per 1000 births, according to Infant Mortality Statistics collected by the Centers for Disease Control and Prevention (CDC) in 2013. That is a very high figure when compared to the Asian American rate of 4 per 1,000 and the non-Hispanic White rate of 5 per 1,000. While that data was collected in 2013, one cannot help but wonder if anything has changed. Some believe breastfeeding could significantly decrease the rate of Black infant mortality. But that is not all chocolate milk can do. Nearly 19 percent of African American boys and 28 percent of girls are obese. Nearly 15 percent (3.7 million) of African Americans 20 or older have diabetes, a rate 1.5 times higher than that of Whites. The Current generation is the first that will not be expected outlive its parents! Breastfeeding has been shown to reduce the risk of type 2 diabetes for babies and mothers, and to reduce pediatric obesity. Obesity and diabetes are huge issues in the African American population, and we need to combat these issues in youth. Breastfeeding yields many benefits for mom. A decrease in the likelihood of postpartum depression and assistance losing weight are big motivators for many. Breastfeeding reduces a woman's rate of breast, uterine and ovarian cancer. Rates of breast cancer for Black women are said to be rising. Also, Black women have higher rates of mortality and more severity in observed cases of breast cancer. There is much to gain for Black moms who decide to breastfeed, including substantial financial savings, huge because Black women currently earn 77 cents per dollar earned by their White counterparts. Even without the many benefits, for many it's all about strengthening the mother-baby bond. I have a 6-month-old who was born and sent straight to the Neonatal Intensive Care Unit (NICU). At many moments, breastfeeding felt too hard ― lots of pumping and failed latches — but we kept fighting. Surely, if my son could fight for his life, I could fight for his food. Black Breastfeeding Week is important to me. It reminds me someone shares my experiences and intersecting struggles. Breastfeeding is a challenging journey. I don't disagree with that, but for us the benefits outweigh all the setbacks.